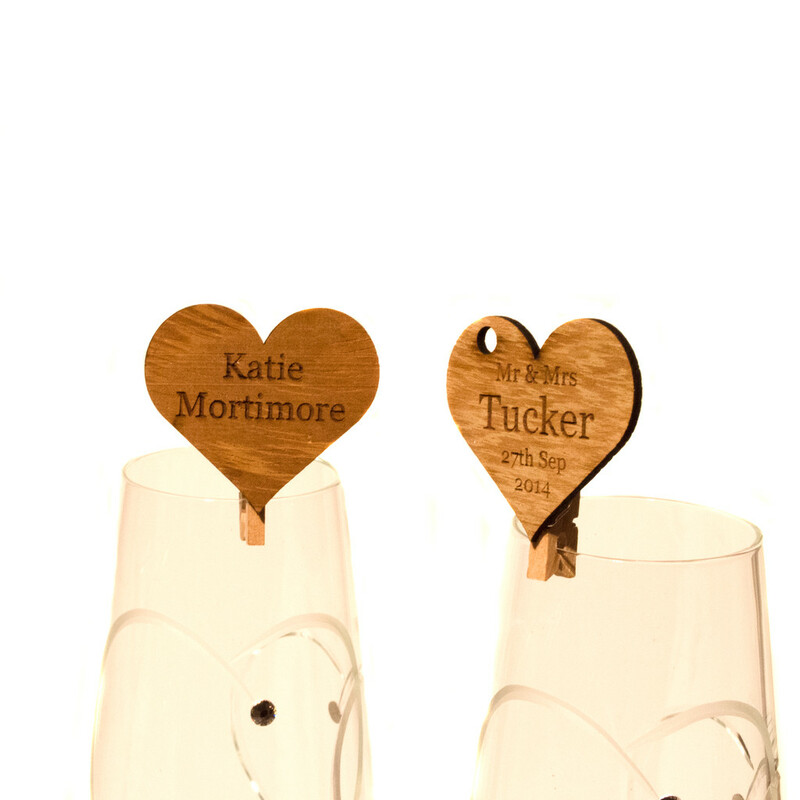 These beautiful 40mm rustic wooden hearts are laser cut from 3mm Iroko hardwood. 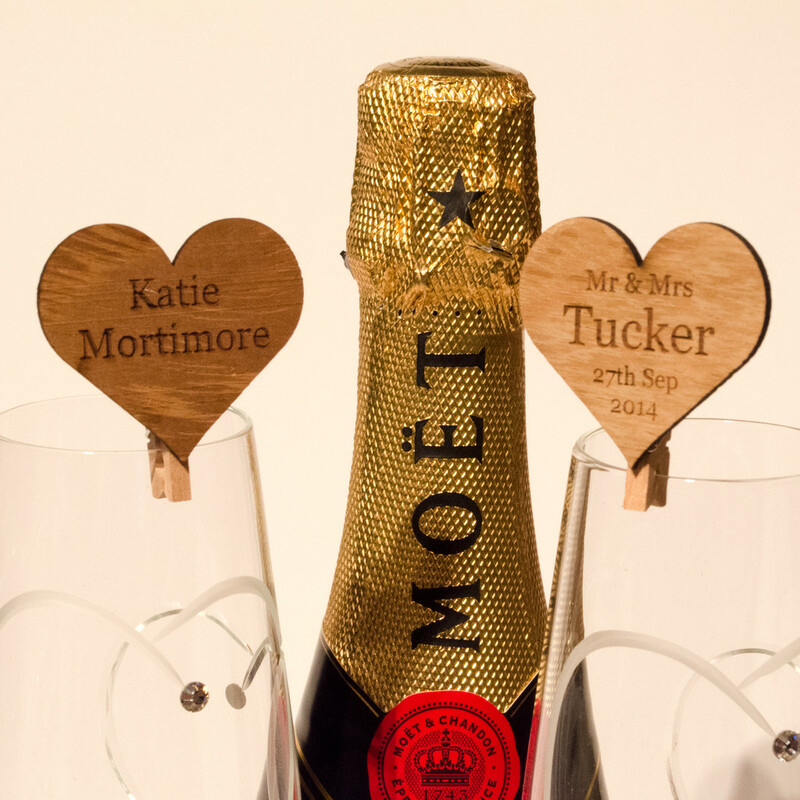 Each heart comes with a small wooden peg, carefully glued to the back in order to easily be attached to a guests glass or table decoration. Every heart can be engraved with a different guest name or any other details you require. 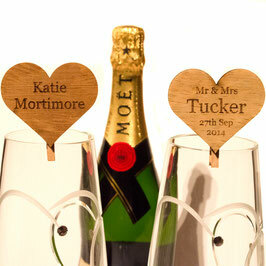 You can be sure your guests will want to take them home as a keepsake from your special day. 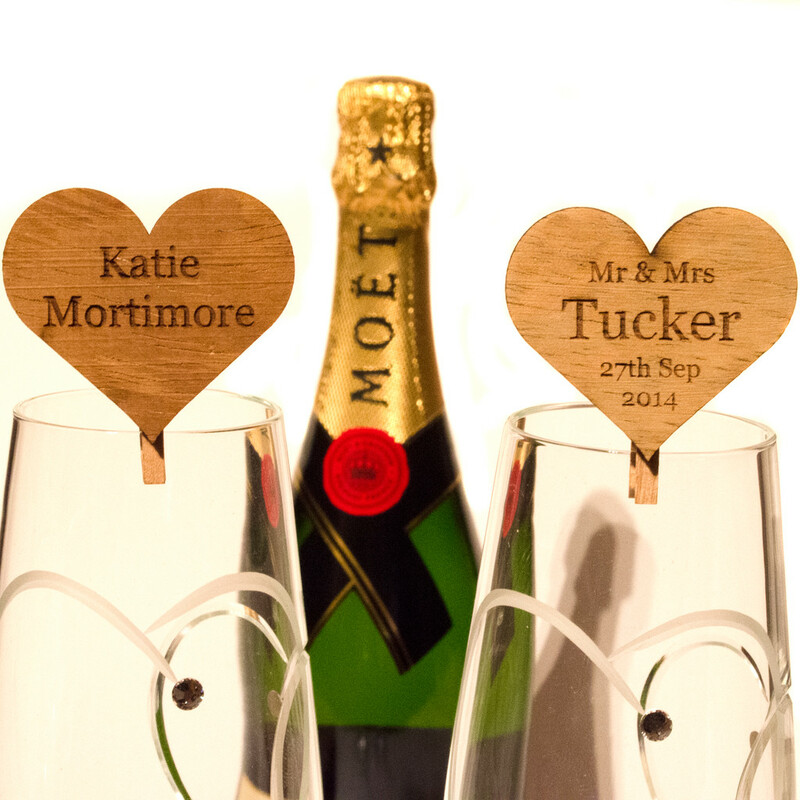 Available in any quantity, these beautiful additions to your wedding can be engraved with the names, dates and words of your choice. Please just add the number of hearts you wish to purchase in to the quantity box when purchasing. Dimensions: 40mm wide, 3mm thick.